Now that the world is sufficiently obsessed with Cars 3, you may be looking for other ways to fuel your fandom. 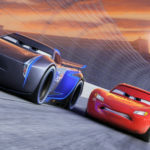 From Avalanche Software, the same company that brought Disney Infinity to life, comes Cars 3: Driven to Win. 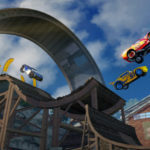 With an overabundance of play modes and difficulty levels, there’s a little something for every Cars fan in this game. 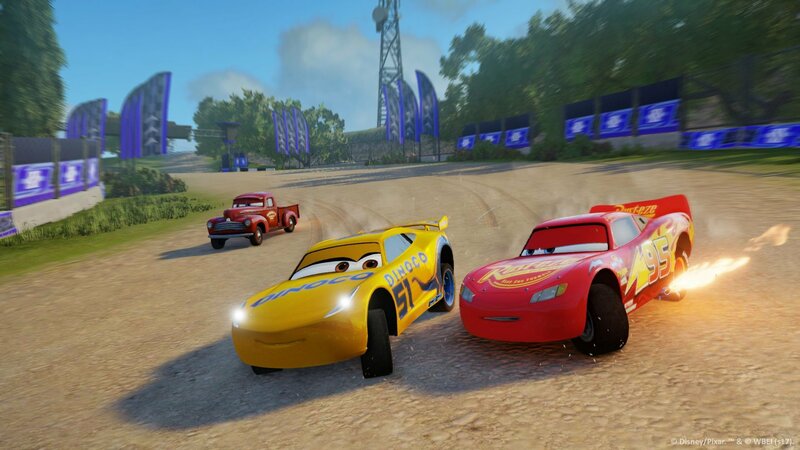 The game takes place after the events of Cars 3 and you’re in control of the destinations and characters you play as. 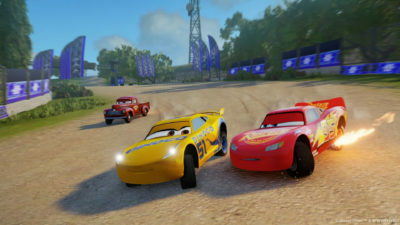 Many of the worlds from the third film are brought to life and expanded here and while none of the voice cast participated in the game, all of the cars talk. The races you choose to play all feature skippable intros from Chick Hick’s racing talk show, and he also adds snarky commentary based on the results of the race. Those looking for a classic racing game will find it right out of the box. 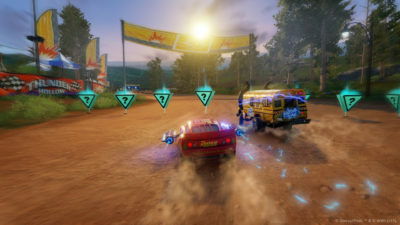 The standard Race Mode takes three laps around a track and drivers can drift and perform tricks to gain some speed boosts. Some of these tricks remind me of EA’s SSX series and you can jump your car to get more height when driving off ramps. While the game starts with just a handful of characters, modifications, and tracks, you can unlock up to 20 characters and 13 environments, although there are variations of each environment for multiple times of day. Personally, the only racing game I’ve ever fallen in love with is Nintendo’s Mario Kart series, and Cars 3: Driven to Win has wisely borrowed from that game with two of the modes here. One is called Battle Race, which takes the regular race mode and adds items that your character acquires to thwart the competition. The courses also feature Mario Kart-style hidden shortcuts. The other mode that falls right out of Mario Kart is Battle Mode, although Nintendo has been hit-or-miss with this feature lately. In this game, weapons are scattered all over the track and you’re just trying to rack up more points by shooting your opponents, not necessarily trying to win the race. There are other unique modes, such as Playground (explore a track on your own with no time limit or opponents), Takedown Mode (take out as many racing robots as possible) and Stunt Showcase (perform as many tricks as possible under the time limit). But the most unique are the special events. I was able to unlock a Mrs. Fritter event where you have to defeat the demo derby bus and win the race all at the same time, which was a lot of fun. 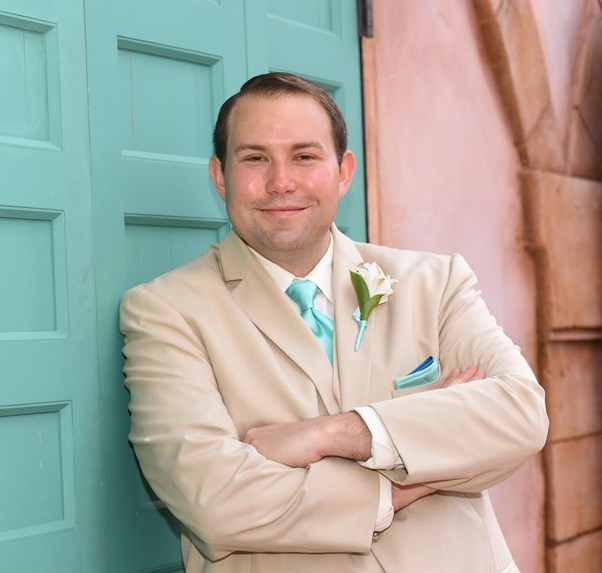 I have a couple of criticisms of the game. 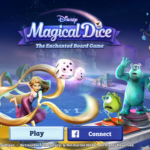 The first is that it takes a while to unlock all of the play modes and depending on the age of the intended player, adults will likely need to devote some time to help kids. There is also a very confusing menu where you need to unlock challenges to get all of the special event races. It’s very reminiscent of Disney Infinity’s Toy Box achievements in order to get certain packs of toys and while it worked there, it makes this game feel a little too busy. 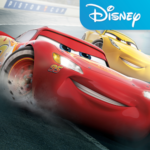 Cars 3: Driven to Win allows a fun multiplayer racing experience through the world and characters of Cars 3. I personally reviewed the game on a PlayStation 4, but it is also available on PS3, X-Box One, X-Box 360, Nintendo Switch, and Wii U. 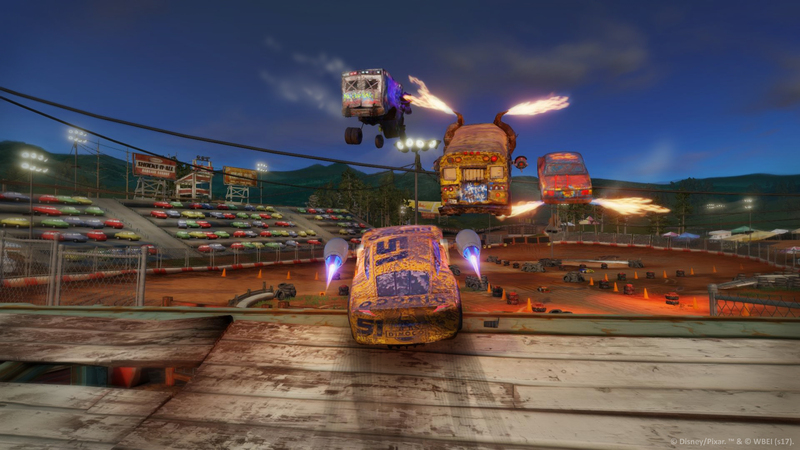 If you like racing games and Disney Pixar’s Cars 3, you’re sure to have fun with this game.